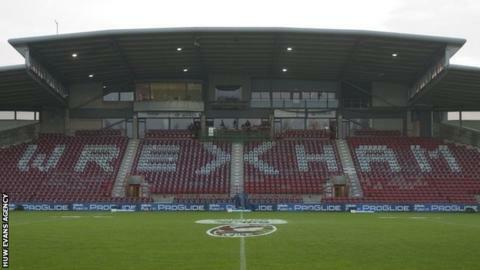 Wales will return to Wrexham’s Racecourse for the first time in 10 years when they face Trinidad and Tobago in a friendly on 20 March 2019. The match will be part of Wales’ preparations for their opening Euro 2020 qualifier against Slovakia in Cardiff four days later. Wales have faced Trinidad and Tobago once before, in May 2006. Gareth Bale made his debut in Graz, Austria, and Robert Earnshaw scored twice in a 2-1 victory for Wales. Wales last played at the Racecourse in 2008, a 3-0 friendly win over Norway. Ryan Giggs’ side had to arrange a fixture for this date next year because, according to Euro 2020 competition regulations, every team with a free matchday must fill it with a friendly. Wales have been drawn in Group E with Croatia, Slovakia, Hungary and Azerbaijan. Because there are only five in the group, each team will be without a game on two of Uefa’s 10 match days. “I’m delighted that we’re able to play at the Racecourse for the first time in 10 years,” said Giggs. “We thoroughly enjoyed taking the team there for an open training session in May. “The support was incredible and further fuelled our ambition to host a match at the historic ground.